Each rasp is made with a rugged and long-lasting tungsten-carbide coating. This provides you with the choice of extremely long lasting file/ rasps which are optimized for either the most effortless material removal, or a balance of material removal and durability on very punishing applications. 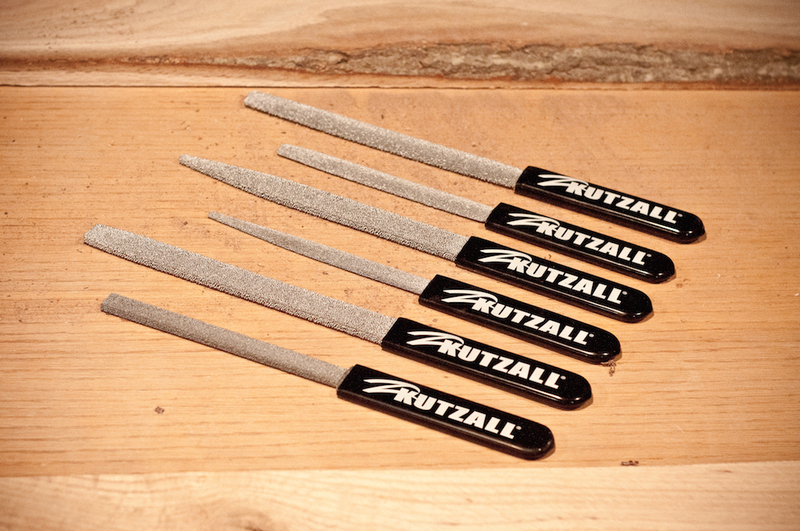 Kutzall Rasps will stay sharp, project after project, and do things that other rasps just can’t do. Two unique coating solutions to fit your application. Available in 6” and 8” sizes. Come in three popular shapes; Flat, Half-Round, and Warding. Both coarse & fine grades available. Kutzall Files are not recommended for use on metals.